Welcome to the 4th Edition for 2018 of the Green and Gold Magazine. Welcome back to the 2018 football season – a special welcome to the new families who have joined our Club this year. This is our 49th Season !! The Committee is here to assist you whenever you need help – the Committee List is included in this magazine so feel free to call if you need assistance. This sponsorship goes a long way towards helping us run a successful Club so we urge you to support them with your patronage. This year Hills Hawks inconjunction with the GHFA will be introducing a Respect program. This will be the first step on a journey to change the culture in Football to a consistently positive and rewarding one. We are aiming to emphasise that, while winning is important as a measure of achievement; it is not the only measure out there. Setting your goals and achieving them can be just as fulfilling and important for teams and individuals. 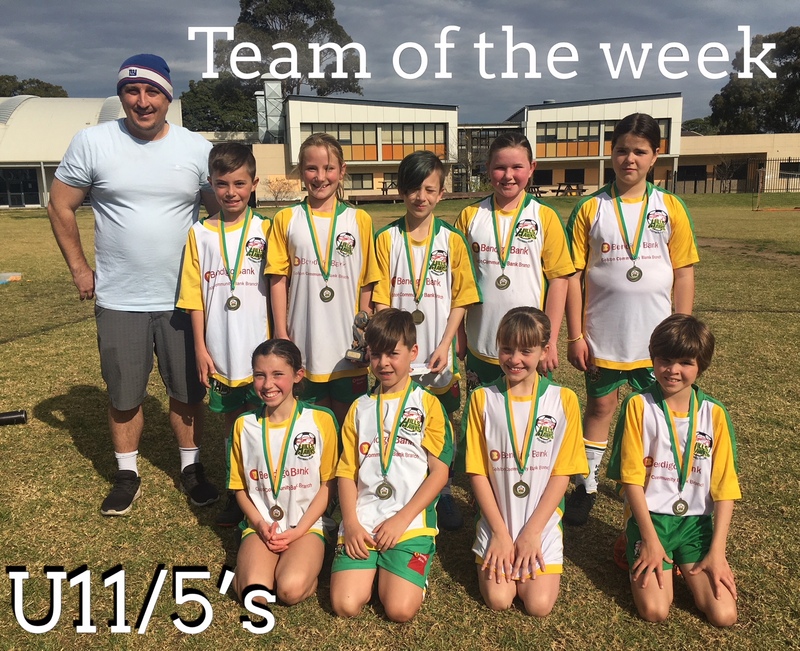 The Hills Hawks Football Club has, for many years, awarded an Encouragement Award to the “Team of the Week” to recognize teams that show outstanding effort and improvement through the season. This year the reward for the players will be a medallion, a kids bistro voucher at Glenorie RSL Club and a free sausage sandwich down at the barbeque at the oval. Well done to our Award winners for 2018! A big thank you to Ana PeCarolina Pereira for her efforts, in organising this event which was a HUGE success. We would like to thank you for your terrific support in attending our HHFC Comedy Night at Glenorie RSL last night. It was a great celebration full of fun, laughs, good music and dancing. We look forward to next year when we will come together again as a community to celebrate 50 years of Hills Hawks FC. 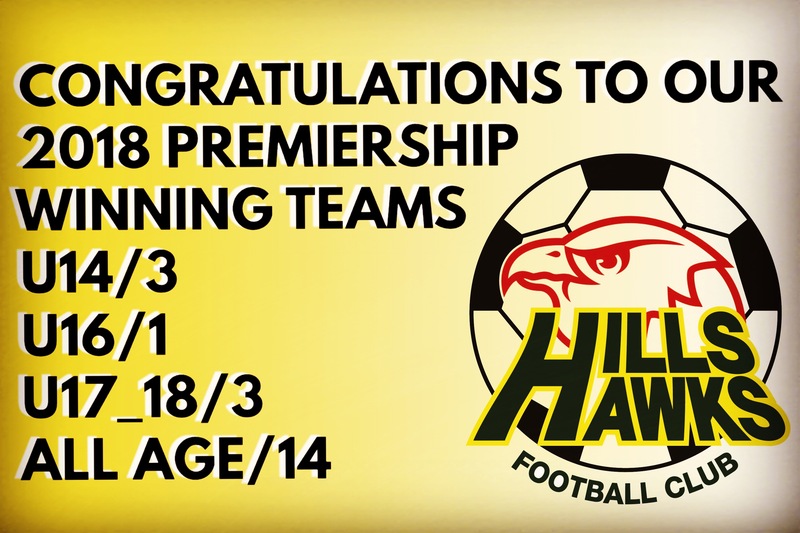 Congratulations to all Hills Hawks FC teams for another great season. We have many teams in Championship Finals this weekend a great effort from a great club. Hills Hawks FC will be hosting a number of Grand Finals for our association GHFA this weekend at the home of the mighty Hills Hawks Hayes Park including our 14/3's, 17/18/3's and our AA10 teams. Our 15/2's kick of their GF at Meadowbank 3 at 8:30 for those who can make it and the 45/2 GF pending some confirmation is at 2pm at Pennant Hills # 3. Next Saturday 25 August our 16/1's play the Championship final at Christie Park at 11:30. A reminder for any teams who won their Premiership but missed out in the Round Robin if they could have someone attend their Age Div GF to receive their trophy. A reminder for our 13/3s as Pennant winners, please have someone if possible to attend your Age Div GF at LH Ward 8:30-9:30 to receive your pennant award. Please notify your team. Free sausage sizzle for players. Perhaps talk to your team about having lunch at the Club to show support to our major sponsor, the Glenorie RSL and listen to some chill out Sunday tunes after Presentation Day in the beer garden area. This is a general debrief of the season, question time etc. Please come along the have some finger food and a drink or 2 to discuss the season and if you have any ideas of how you can help the Club can improve. A fantastic last round of matches to finish off our competition rounds. Two cracking 2-2 draws that both went down to the wire. 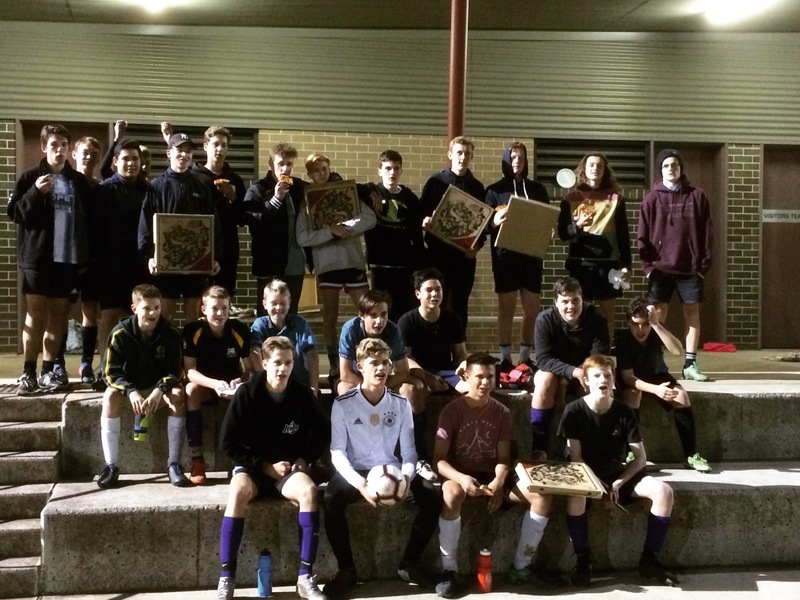 U15/2 and U16/1 enjoying a Chizzos Pizza after a tough training session during finals week!! 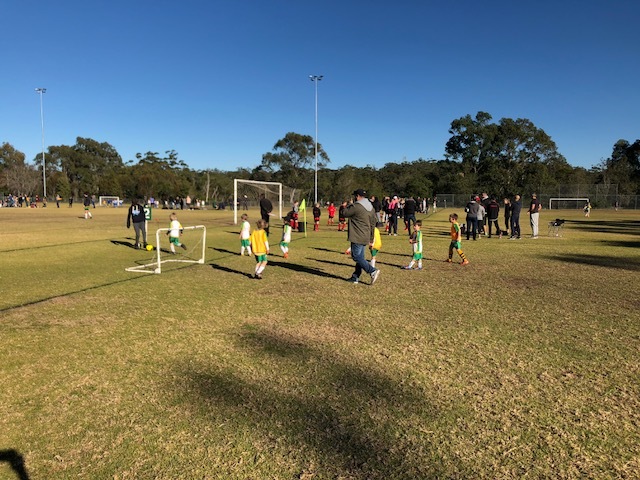 A great effort by the under 8 team focusing in tricks and positions. Goalies this week were Tom and Noah - well done boys! Player of the match was Beau for continued effort and improvement. 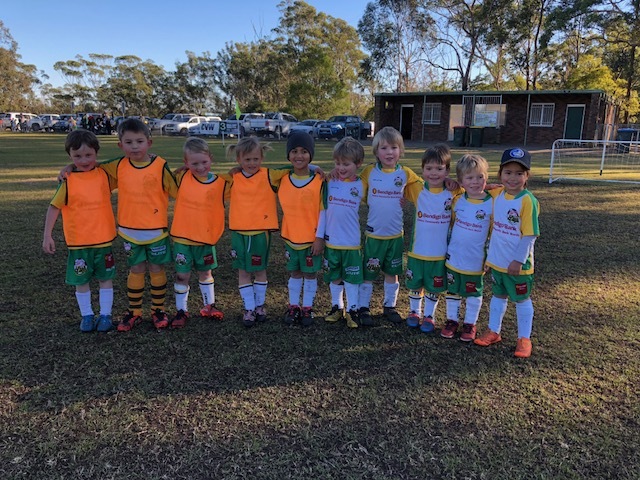 The Hills Hawks under 7s Purple A had their first win of the season. Congratulations boys!!! The Hawks showed great skill in attack and solid defence to win the game 4-3. Stephen had a strong game with some excellent defence and a long range goal from the half way line. 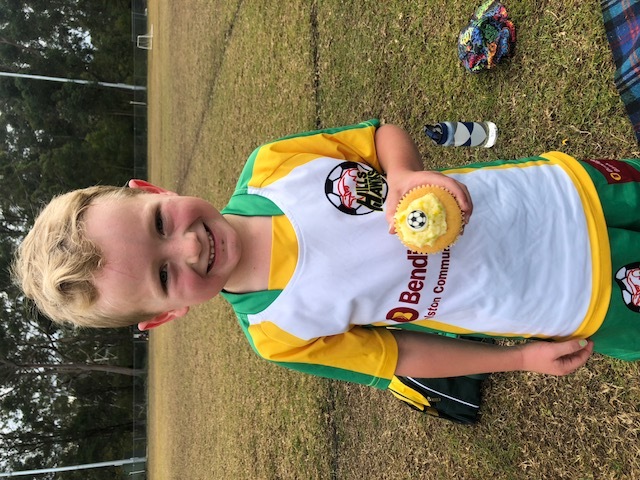 Brae attacked strongly and scored three fantastic goals. Jack and Henry were very busy in attack and created a number of great opportunities. Jono also showed a lot of determination in attack and defence. The boys were excited to get their first win on the board and hopefully the next win is just around the corner. Player of the match was Brayden. In goalies was Oliver N and Brayden who both did a great effort. The team was practicing their passing and calling out skills. Sun was shining on get another glorious Saturday! 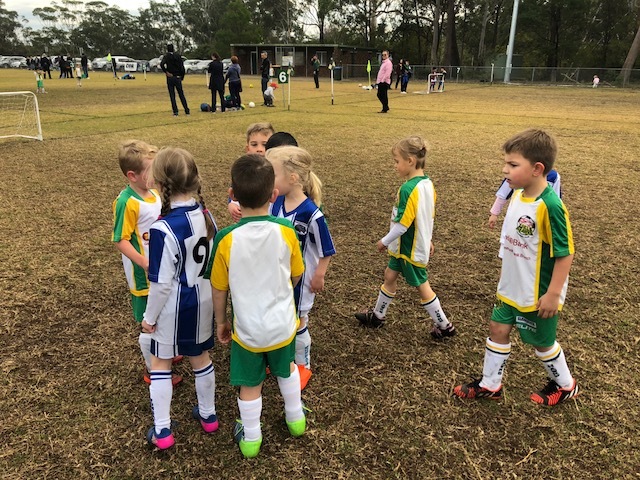 It was a match against Hills Hawks Orange! It was a great friendly match, both teams did an outstanding job. Despite two weeks without training the team kept formation and were passing the entire game to each other. Congratulations to Jacob for our Player of the week an outstanding effort! Thank you to the Zirrili’s for supplying the oranges! A good performance by the team with improved passing. Player of the week was Jake A with a great goal and some excellent crosses to team mates in the goal. We started the game 3 players on each team as we waited for the the opposition to have all their players. The team worked so well together passing to each other the entire game. Thank you to Steve for filling in as coach. Thank you to Ben and Cholena for assisting on the BBQ. After a week off due to a forfeit last week, the team played great. Holding positions and doing the tricks Olivia has been teaching at training each week. Great efforts at goalie by Tom and Oliver N. Player of the match was Johnny who scored our goal. Well done team! Our games have mainly started at 8.30 this season, so a 10.30 start was luxurious. We also had 2 subs (Dylan and Jordan) from 10/4 due to absences within our team. Given our boys usually get off to a slow start we were all watching to see if a later start would mean more energy. They definitely started well, with great passing and positional play. Unfortunately for the other team they had an early hand ball meaning we had a shot at goal which we converted. We scored another 2 goals before half time. Second half our boys slowed and the Pennant Hills boys picked up pace. A ball straight into Lachlans face took him down and as some of the other boys ran to see if he was OK the other team scored. They scored a second goal which was an amazing shot, but we kept the pressure up and managed to hold them off for a win. A two goal margin win would see us take out the premiership. Our menace team ASHH took an early lead with the wind behind their backs. We managed to claw back one goal to go into the halftime break locked at 1:1. Our usual suspects Oli and Owen slotted home two more cracking goals for a 3:1 win securing the premiership to the 14/3's for 2018. A usual dashing performance from Dakota at the back earning him the Player of the week trophy. Another win on a windy day! The team played a very good game today. The other team were down a player so we took an extra player off as well to keep it even. Some great passing by Hills Hawks that eventuated into 5 goals and a super win. Well done to Cooper who was player of the match. Was a great game today. It was a tight 1st half, with both teams having chances but not scoring. Putney scored the only goal of the game in the 2nd half and they came away with the win 1-0. Really proud of the boy's effort today!!! Our boys had some wonderful playing today and without any subs. There was lots of passing and great defense work. Jack P took on 5 boys at once managing to defend a goal. One of the beautiful plays saw the boys passing to at least 3 players before scoring a goal. It was wonderful to watch. Our coach was overheard to say “well coached boys, well coached”. Jack F also had an amazing goal from left side of field hooking it in and over the head of the goalie. The boys are really starting to play in their positions and passing instead of holding onto the ball. Lots of confident goal kicking with 6 goals going in! We lost to this team last time but won today. 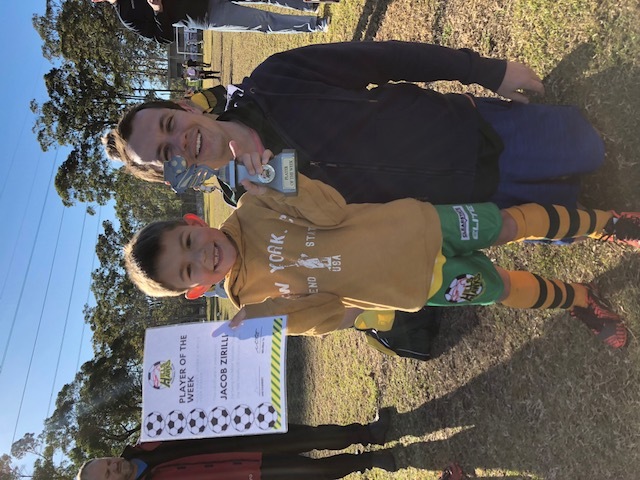 Coach was so impressed he gave everyone a Player of The Match Award. It was a beautiful day to play and watch soccer today! Our team played amazingly both in attack and defence. 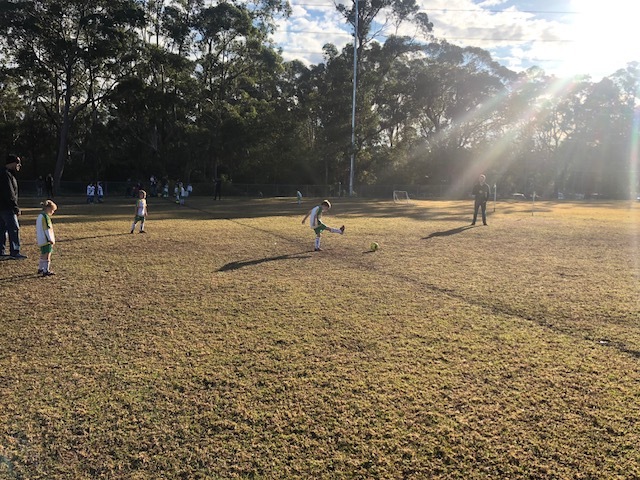 Charlie scored a goal in the first half and Felix scored a goal in the second half, with a late goal scored by Beecroft. The final result was a 2-1 win to the Hawks. A loss but all played really well. It was a very cold start to the morning, but the boys started off well. In the first half they had numerous shots at goal but unfortunately none made it past the goalie. The opposing team were strong with good tackling, passing and positioning. The first goal they scored was well earned having seen some of our defense and goalie in the ground. Overall it was a very even match with each team scoring another goal each. Our attack did a lot of running, tackling and passing whilst our defense did a great job of keeping the ball away from goal with some amazing intercepts. Our team played amazingly well today and put in such a huge effort all game! The opposition threw a lot at our team and the goalkeepers in each half - Brendan and Connor saved some rocket goal attempts. It was a great game to watch. Today I decided to write a poem. About our soccer game playing at home. We had 10 boys warm and ready to play. Would our 8 opponents stand in our way? First goal came quick and was pretty easy. Would the rest of the game be so breezy? Lachlan lost his right shoe but kept in play. Second goal, the game was going our way! Great corner shots from Finn but none a goal. James great dribbling and didn’t take a toll. Caleb played well in many positions. Our boys put on a good exhibition! Goal by the others gave us a shudder. Skies turned gray, could we hear rain and thunder? Zane played midfield and supported the team. Halftime, please don’t let us run out of steam! Max was so happy when he played midfield. But told off his mum and she had to yield. Jack defended well with few balls astray. Goal for other team will it go our way? Josh took a big run and shot at the goal. Nail biting but couldn’t quite find that hole. Matt’s body took two balls in succession. Ball was fairly equal in possession. Goalie Marcus worked hard and saved some goals. But another got through we saw how it rolls. We finished so well and we were one up. Every boy who played deserved a cup! We faced a major set back before kick off with a season ending injury to Owen. A solid start saw us lead 2:0 half way through the 1st half, 2 penalties later we were locked at 2:2 at half time. We didn't recover and went down narrowly in the last 30 seconds. Gutsy effort regardless. We outplayed Penno but only got the draw - same pattern as round 1. Ran all over the bottom team today with an easy win. Well done. Needed a win and played well enough that we would have won most days. But not today and had to be content with a point. Another close loss in a game with very few chances for either side. Eastwood scored after 30 mins and were effective in closing down the game. We fought, had more of the play but couldn't break them down and in the end only produced one really good chance towards the end of the game. The better team but not on the scoreboard. Finished with a draw in a game where we had a goal disallowed and gave away a dubious penalty.